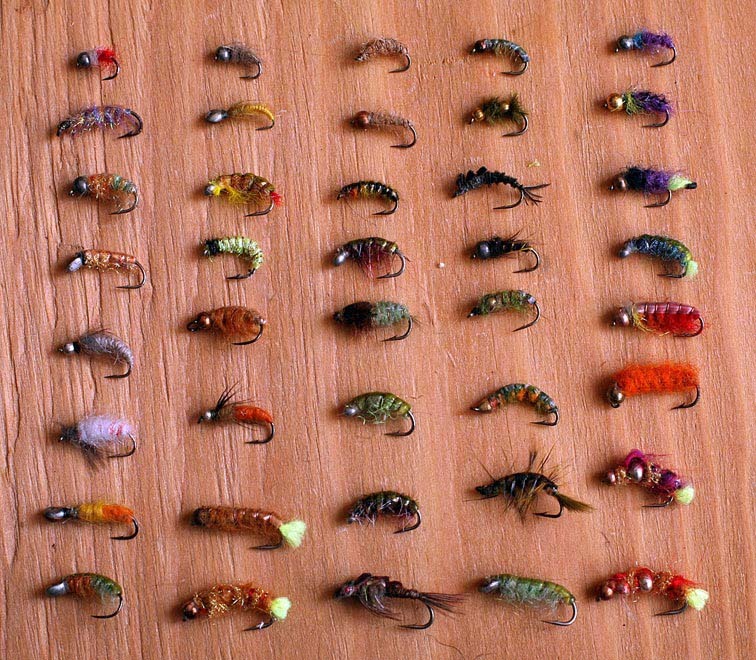 Here I will show you the examples of the wet flies (nymphs) for catching grayling and lenok in the streams of the Sikhote-Alin Range. Similar flies are used by the fishermen from Khabarovsk, mostly for drift-fishing with a long pole, bobber, and sinker. The Amur grayling is often picky, especially in the rivers with many fishermen. This causes the necessity of careful selection of the fly color. The size of the fly most often is not critical; it is enough to have #14, 12, and 10 flies of different color. Some of the flies at the image are very heavy; they are tied with 2 or 3 metal beads. 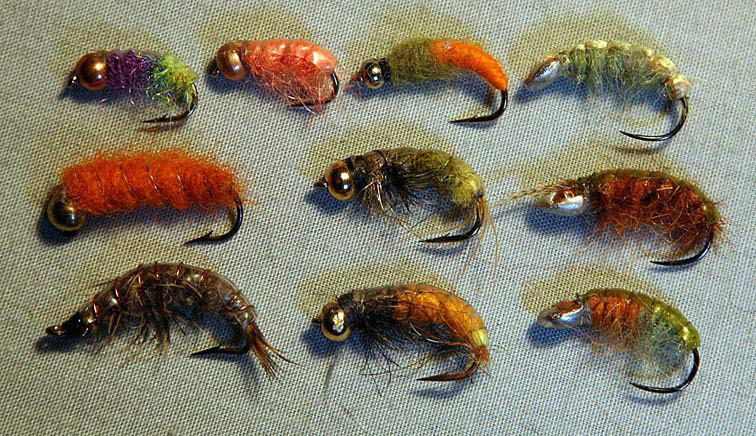 These simple flies with several colors are often exactly what the fish wants to eat. The bright nymphs work the best when the water is not very clear. Here you see ten more of the working flies. Besides grayling we catch lenok with them as well. This selective fish is often biting rather small flies, especially in very clear water. Typical grayling flies tied on the hook with soldered tin heads. These nymphs have weighted head and soft belly out of a synthetic tube-like string. The tip of the string is melted around the hook eye and shank which keeps the hook in place. Lenok (Siberian trout) with two animals out of its stomach and two articulated imitations of the same animals. 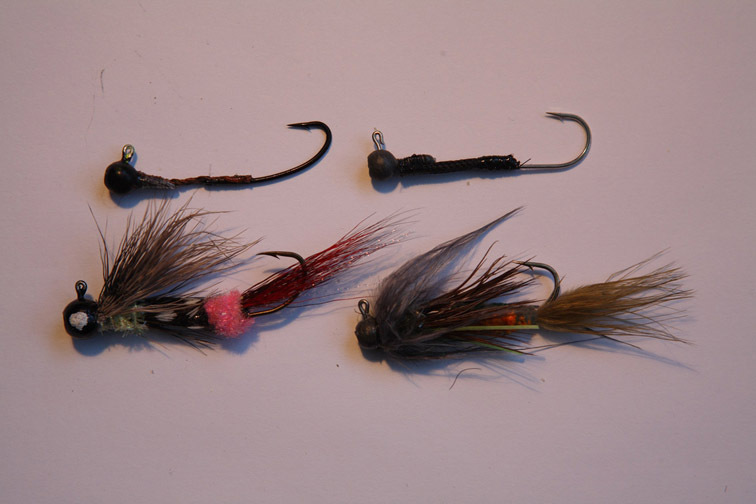 The sculpin imitations and the «bases» with a string used for such flies. 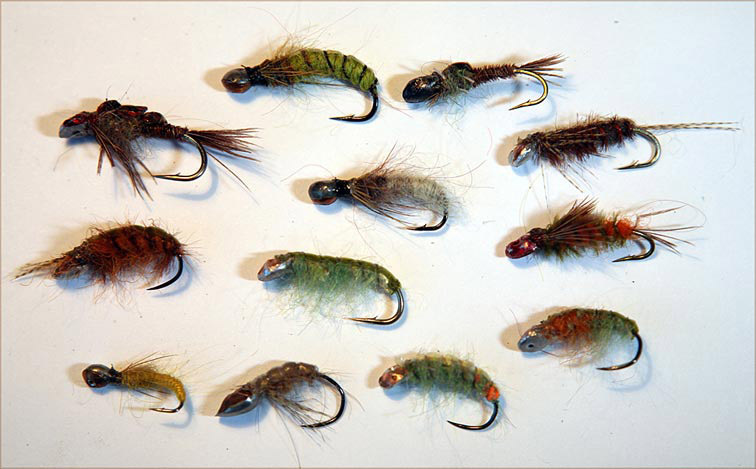 The big stoneflies also could be tied on such bases. 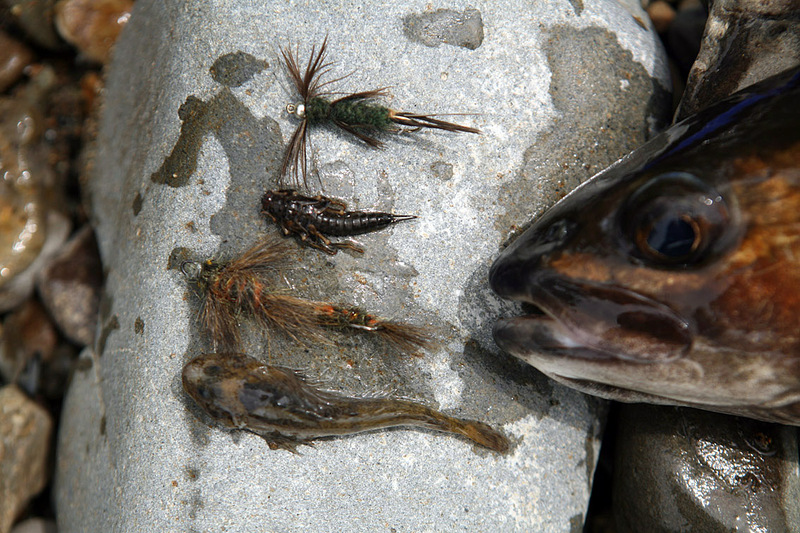 These articulated nymphs and sculpins which work well for any good size Salmonid. My working desk during the work with the series of the articulated stoneflies.